Workshop for 12th Graders on- "The European Court of Human Rights"
School of Law of the University of Georgia offers 12th graders workshop about The European Court of Human Rights. · Reforms planned in the European Court of Human Rights. 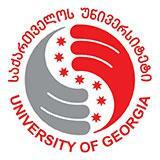 Trainer- Professor of Public Law- Mr. Malkhaz Begiashvili. Workshop is granted by funded by School of Law and is free for 12th graders. 60 participants will be selected by motivational letter. Send motivational letters to email address: ugls@ug.edu.ge until 30th of January, 2019. At the end of the workshop participants will be evaluated by 20 point question test.